With our extensive MYOB Greentree experience, Endeavour has all the knowledge and expertise you need to get the most from this impressive ERP software solution. As MYOB Greentree Partner of the year for the past 3 years, we know just how to save you valuable time and money, minimise risk and deliver the best outcomes for your business. Today’s enterprises are increasingly multifaceted, and managing them well calls for comprehensive tools that work together seamlessly. With 1 platform, 13 product suites, 84 modules – and no walls to divide them – MYOB Greentree does exactly that. Make sweeping improvements, from sales, purchasing and logistics to job costing and financial management – all with secure, enterprise-level functionality. Build more efficient and streamlined operations – no more silos. 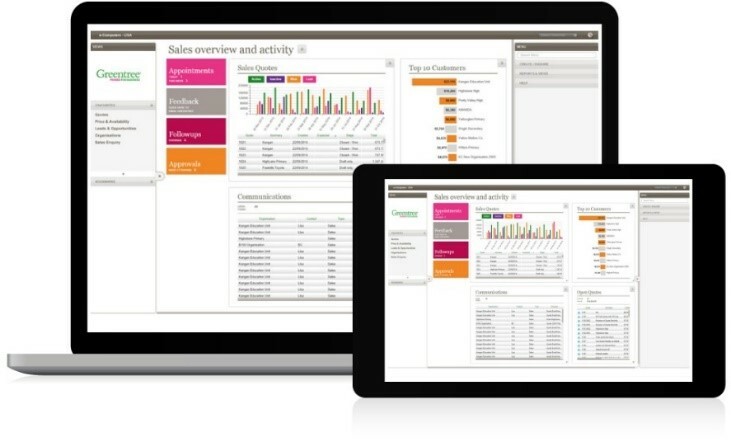 Experience full visibility and control of performance, costs and profits. Increase customer satisfaction by improving response times and accuracy – and removing bottlenecks. Enjoy a tailored solution with a choice of modules and frameworks that work for you. Select the deployment option that fits your needs. Interested in learning more about how MYOB Greentree can benefit your business? "Endeavour matched us with Qlikview for Greentree – not just a report writer, but a business intelligence tool which gives us much greater insights into our data than we’ve ever had before." "The benefits are phenomenal. Greentree gives us the ability to know and understand our customers better, and to manage our sales team better. We're dealing with facts now." "Endeavour invited us along for a demonstration and one thing led to another. They came in and promised that if we gave them two days to analyse our data they could show us what the product could do. It was pretty impressive so we pursued it."